Vulcan is the first automated workstation combining the two essential steps of sample preparation -Digestion and Work-up. 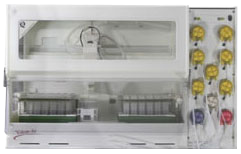 It is the only true automation accepting samples and returns prepared autosampler racks ready to be analysed. Contamination free environment for trace level sample preparation. Overcomes inconsistencies and uncertainties introduced by repetitive and tedious process. Saves prime lab space with smart inbuilt fume hood. Processing of 84 samples in 50 ml vials. Automatic and precise addition of corrosive acids, reagents and internal standard. Makeup volume at the end of digestion. Stirring of sample during the process. Cooling digestion vials between reagent additions. Capable of heating up to 400Âº C.
Vilas available in Teflon, Glass and Polypropylene material. Customise hot block available to accept specific size and shape of digestion vessel. TeflonÂ® coated graphite block and housing to prevent contamination. Sample levels are monitored for individual vials using non contact level sensor. Peristaltic pump fills in quickly major amount for desired level. Accurate Syringe pump dispensing and level sensor monitoring is used in achieving final level. This unique combination of syringe and peristaltic pump helps speed up process with out losing accuracy. With the help of Teflon coated Carbon Fibre probe and Sample loop samples are picked up, stored, diluted and transferred to autosampler racks. Sample Probe and Loop is thoroughly cleaned externally and internally between each sample processing. It is possible to generate multiple dilutions for one sample in one go. Pneumatically driven acid resistant Tray Lift brings samples out of hot blocks. Tray Lift is placement forces cool air to pass over the vials, bring them rapidly to room temperature for multiple reagent additions and Volume Make-up. Vigorous mixing of sample is effected through rapid stream of air bubbles. Duration of mixing for each sample can be set as per need. 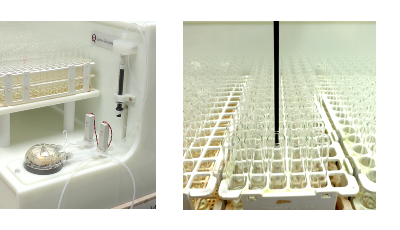 Two Chambered wash station is used for cleaning the probes between two sample. Wash station has two separate peristaltic pumps circulating clean water for efficient cleaning. Accurate and consistent reagent delivery for acids and reagents through dedicated lines. Capable of handling corrosive acids like HF, H2SO4 and HClO4. 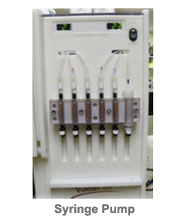 Can configured to dispense reagents in multiple vials to increase the speed. 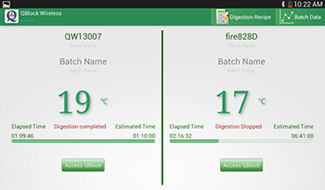 Easy-to-build digestion recipe with functional steps like reagent addition, heating, stirring, sample transfer, washing and autosampler rack preparation. Offers unique functionalities like Heat to Dryness and Precipitate / Residue washing. 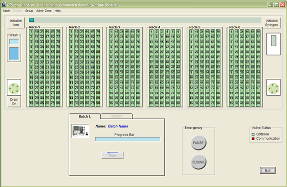 Easy-to-set automation functions resulting in quick optimisation of the whole process. 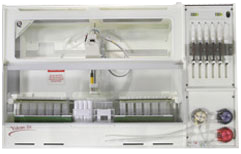 Capable of altering processing for individual vial in single run. Perchloric-acid-Ready, detachable exhaust manifold to facilitate washing. 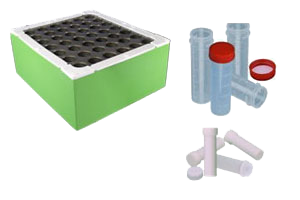 No metal parts, all plastic construction suitable for trace level sample preparation. Laminar flow exhaust path for acid fume removal. Positive air pressure in electronic section prevents acid corrosion. Option of HEPA filter attachment. Provides catchment basin for any reagent spillage. Has transparent window for light illumination and visual observation. 0.5 to 2 ml/sec reagent flow rate for peristaltic pump. Can introduce samples pulse-free to ICP, AA, AFS, etc. Capable of handling HF solutions. Teflon-coated rigid graphite probe for accuracy of vial access and ease of cleaning. Option of a customised rack to hold QC standards. Easily configurable to accommodate wide selection of racks. Option of HEPA filter enclosure. Option of mobile stand to support QPrep, PC and reagent bottles. QBlock series provides wide selection to choose appropriate digeston/heating block to increase efficiency of digestion and through put. Teflon coated graphite block and enclosure provides ability to produce contamination free results. 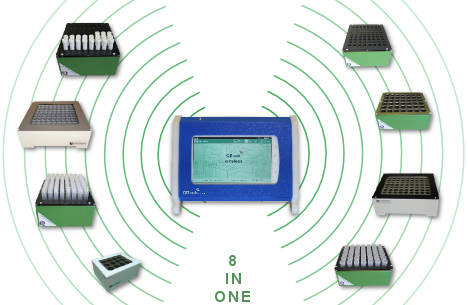 Modular approach for touch screen base temperature controller helps increase life span of system and provides total control over 8 QBlock simultaneously. Do you have heating block requirements that do not fit into any of our standard offerings? With help of our in house capabilities we can make one to fit for your need. Please ask us for a quotation on your customized heating block requirements. Customised QBlocks are available within a few weeks only at a small additional cost. 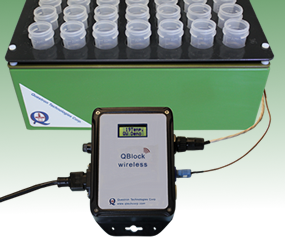 QBlock Wireless Digestion system is the only system which can wirelessly control up to 8 QBlocks providing unparalleled temperature control, data computation and ease of operation through its touch screen based wireless controller..
Commander-S, single channel controller provides a convenient and economic option for temperature control of digestion block. 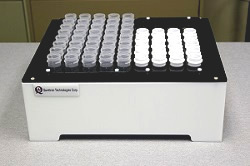 Easily programmable ramp and soak times for an effective digestion of various samples. Real-time target and current temperature display. 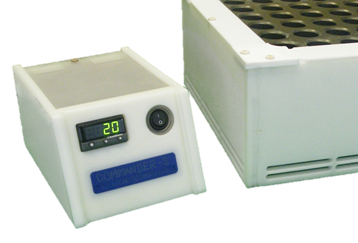 Commander-S is operated from the comfort and safety of the acid-free environment outside the fume hood.